A Cancer Drug Helps Save People From Going Blind : Shots - Health News Ten years ago, there wasn't much doctors could do to keep people with age-related macular degeneration from going blind. A colon cancer drug changed all that. But not everyone's vision has been saved. Treatment for age-related macular degeneration requires injections in the eyeball. Ten years may not seem like a long time, but in my field, ophthalmology, it has made the difference between going blind and still being able to drive. Ten years ago, if you developed wet age-related macular degeneration, a disease that wreaks havoc on central vision and limits the ability to read, recognize faces and generally see up close, there wasn't much we could do. If you were lucky and had a specific form of the disease, the best we had to offer was a laser treatment called photodynamic therapy, or PDT. Sadly, it didn't really do enough to help save vision; most people's sight still worsened. Then some brilliant minds applied principles of cancer therapy to come up with a treatment that could actually improve vision in people with wet AMD. They realized that the two diseases had an important trait in common — they both involved the growth of new blood vessels, whether in tumor cells or in the retina. They used a colon cancer drug that attacks these new blood vessels in tumors to target the similar vessels in wet AMD. I feel lucky to be practicing today and to be able to offer my patients such a game-changing treatment. Still, it's not without difficulty. The treatment involves injections of medicine into the eye, sometimes on a monthly basis. Lest you run screaming from your computer or smartphone at the mention of eye injections, it sounds quite a bit scarier than it actually is. Of course that's easy for me to say, but when the alternative is going blind, it changes your perspective. 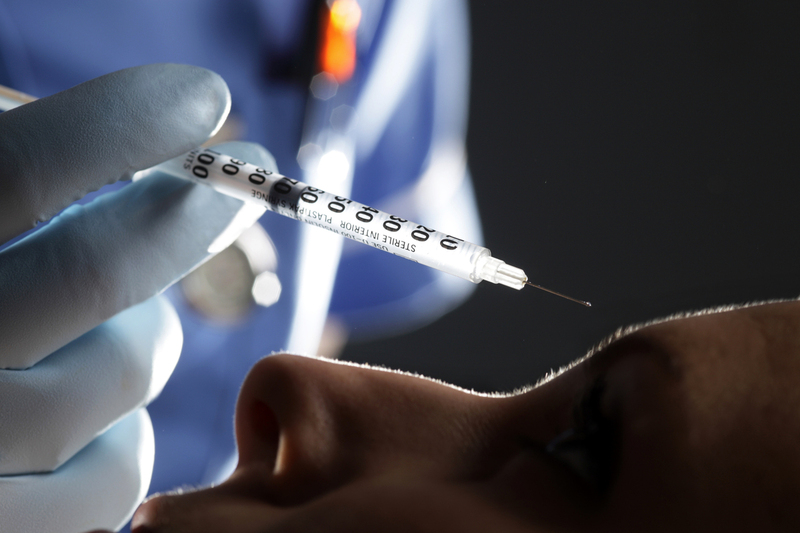 Nonetheless, these injections are a huge burden on patients and their families. Family members often have to take time off work to drive their loved ones to their frequent appointments, or patients may still be working themselves and have to leave work. Then there's the cost issue. Avastin, the colon cancer drug, costs about $50 per dose when used "off label" in the eye. The other two medications, Lucentis and Eylea, which were developed specifically for use in the eye, cost around $2,000 and $1,800, per dose, respectively. Most ophthalmologists start with Avastin. If they need to switch medications, even if patients have Medicare there can be significant costs to the patients themselves. I have had patients who couldn't afford the switch when they needed it. Even the lower-cost Avastin adds up, especially for those on a fixed retirement income. And some patients can't even afford the less expensive medication when it needs to be repeated every month. Then there is the public health cost. Since 11 million people have AMD and many could benefit from treatment, it's an issue not just for patients but for taxpayers and the health care system. But back to the good news. This week, a large study of Avastin and Lucentis, the Comparison of AMD Treatment Trials, came out with data that looked at how people did after five years of treatment. The researchers first compared the two treatments and found them to be similar. They then followed 647 of the original 1,185 patients in the study after the trial ended. The patients were still receiving treatments and being followed by their ophthalmologists, but were not necessarily on the same medication or treatment plan as they were while in the study. The results were published Monday in the journal Ophthalmology. At five years, about half of patients still had vision good enough to meet most states' driving requirements, 20/40 or better, and 10 percent had what we consider normal: 20/20 vision. This would have been unheard of in the days before these injections. The PDT laser didn't come remotely close to helping that many people. Of course, that means that about half of the patients aren't able to drive and do not have such excellent vision. Twenty percent of those people have 20/200 vision or worse, which qualifies as legally blind in the U.S. And while the new data are hopeful, as a doctor who sees these legally blind patients as well as those who do so well, it's hard not to get stuck on those 20 percent, those that are left behind. We haven't yet figured out how to get at all the different aspects of AMD, including the "dry" form, for which there is no treatment. These patients are still suffering. Certainly we are trying to find answers, and studies are being launched to look at those who are still losing vision. I can only hope that 10 years from now, we'll have an answer to that, too. Julie Rosenthal is an ophthalmologist at the University of Michigan Kellogg Eye Center who specializes in diseases of the retina and vitreous.